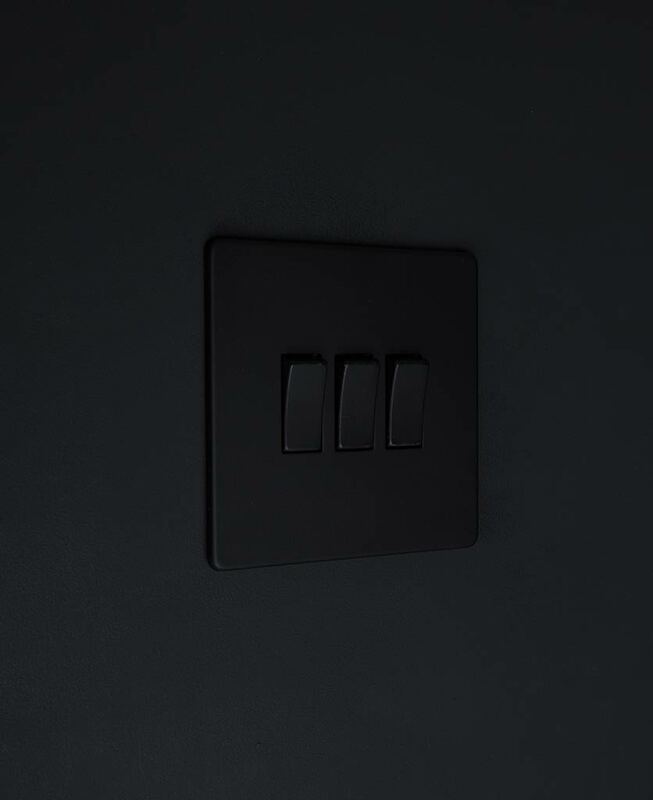 Our ultra slick black triple rocker switch is a thing of beauty. 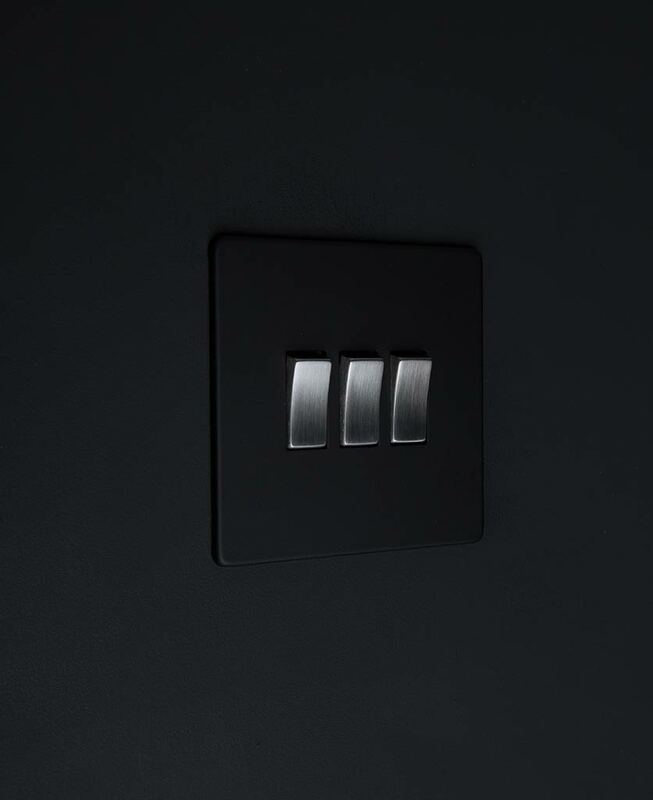 With a gorgeous matt black coated steel plate and sleek rocker switch details, this switch makes turning your lights on and off a real treat. This triple rocker switch is just the thing if you have multiple lights to control from one place…and it looks fabulous too! It’s a double whammy. We love this triple rocker switch, it features a matt black coated steel plate with tactile rocker switch detail, making it chic, sleek and stylish. Everything you need to add sophistication to your interiors. 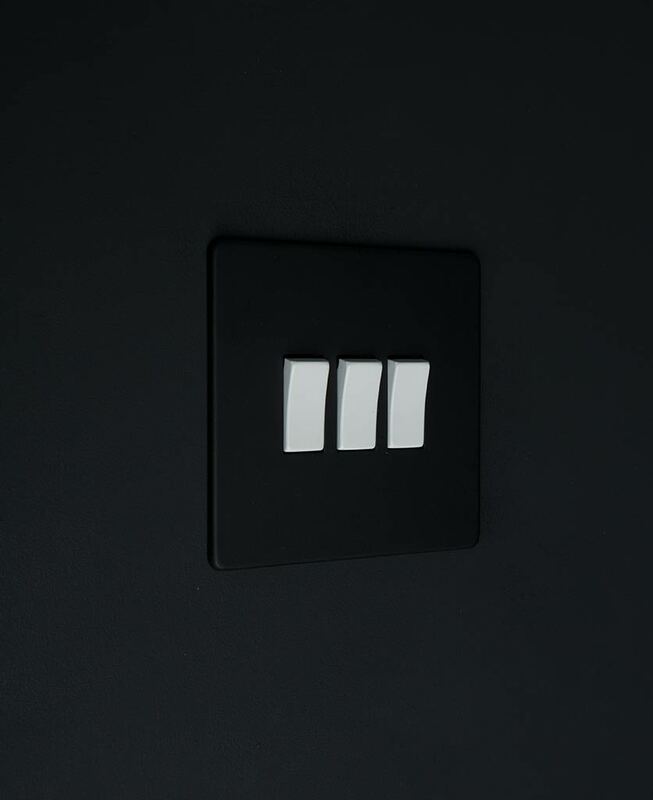 This rebellious light switch makes up part of our black switches and sockets range. An exclusively created collection of designer toggles, dimmers, appliance switches and data ports that work beautifully together to finish of your spaces to a high-end finish.